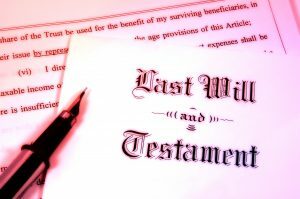 For most people, a Last Will and Testament is the first estate planning document they create. In fact, it may be the only estate planning document they create for some time. Whether your Will serves as your entire estate plan, or just the foundation of a more elaborate plan, care should be taken to avoid making mistakes. The St. Louis estate planning attorneys at Amen, Gantner & Capriano, Your Estate Matters, LLC have put together a list of the most common mistakes people make when making a Will in an effort to help you avoid making those mistakes. Not executing a Will. Surveys indicate that over half of all Americans do not have even a basic Will in place. Often, the lack of a Will is explained by the mistaken belief that a Will is only necessary if you have a fortune to distribute and/or children to protect. The truth, however, is that every adult can benefit from a Will. A Will allows you to decide who will administer your estate, prevents the state from deciding what happens to the assets you own (regardless of their monetary value), and lets you nominate a guardian for your minor children. Using DIY forms. In today’s electronic age, it is tempting to turn to the internet for everything, including legal forms. 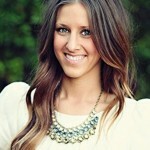 It may seem as though you are saving both time and money using a DIY Will form that you find online. In reality, you are more likely to cost your loved ones considerably more time and money than you save when it comes time to probate that Will. DIY Wills are notorious for failing to completely distribute an estate, being outdated and lacking state-specific laws, and failing to interact properly with other estate planning documents. Failing to appoint the right person to be your Executor. Testators (the person creating a Will) often fail to take the time to contemplate the best choice for their Executor. Instead, they simply fill in the name of a spouse, adult child, or close friend, as the Executor of their estate without giving any real thought as to whether that person is the best choice or not. Doing this can lead to delays or costly mistakes when it comes to probating the estate. Ideally, you should choose someone who will be able to focus on the practical tasks associated with administering your estate despite their grief and who has some financial and/or legal knowledge that can be used during the probate of your estate. Failing to distribute the entire estate. This mistake is particularly common when going the DIY route. DIY legal forms are notorious for being incomplete and lacking instructions. Specifically, DIY Will forms often fail to completely distribute an entire estate because additional documents are frequently required to do so. The DIY forms, however, fails to mention that additional documents may be needed. The failure to completely distribute the estate results in the need to open up an intestate estate probate which can significantly prolong the probate process and completely defeats the purpose of making a Will in the first place. Mishandling gifts to minor children. Understandably, as a parent you want to provide for your minor children; however, by law, a minor cannot inherit anything from your estate. Therefore, leaving assets to your minor child in your Will serves only to complicate the probate of your estate because a court may then be forced to decide who will guard those assets until your child reaches the age of majority. Disinheriting without mention. Of course, you are free to distribute your estate in any way you wish and to anyone you wish. 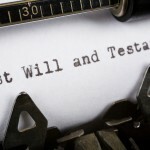 Consequently, you can disinherit anyone you want without being required to provide a reason; however, when you simply leave an obvious beneficiary out of your Will without explanation it dramatically increases the likelihood of a challenge to the Will. It is best to acknowledge the individual and be clear that it was, indeed, your intent to leave that individual out of your Will. Failing to understand the need for additional documents. A Will can accomplish many things, including the distribution of your entire estate after you are gone; however, your Will does not help in the event of your incapacity. Your Will also does not help provide guidance on issues related to end of life medical decisions nor is it the best place to mention your funeral and burial wishes. For more information, please join us for an upcoming FREE seminar. 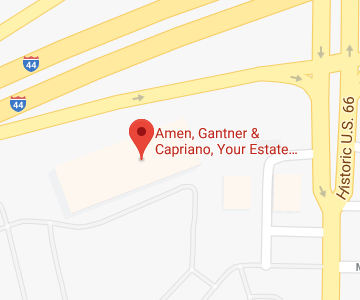 If you have additional questions or concerns about creating or updating your Last Will and Testament, contact the experienced St. Louis estate planning attorneys at Amen, Gantner & Capriano, Your Estate Matters, LLC by calling (314) 966-8077 to schedule an appointment. Do I Need Help Creating a Will?